Hey there everyone, I’m back. After nearly 2 months of being MIA, I’m back to share the tales of 5 new cocktails and 2 new books! That’s right. I haven’t posted anything since May. My lapse is owed to a couple things… 1, I’ve been really busy with my day job (less time to drink and write) and 2, I went to Ste. Genevieve, MO with my wife to celebrate our 10th anniversary in early June. Ste. Genevieve is about an hour or so out of St. Louis and is one of the several regions of Missouri wine country. The weekend trip basically rekindled my fondness of wines, and ever since, I’ve been back on sort of a wine kick. It’s been a nice break from mixing up drinks, and just lazily pouring stuff out of a bottle and kicking back in the evenings. The only problem with wine though is the fact that I tend to fall asleep on the couch at about 9pm, waking up, with the TV on, at midnight, and then dragging myself to bed in the middle of the night. Wine’s great, but it makes me very, very lazy. brand). 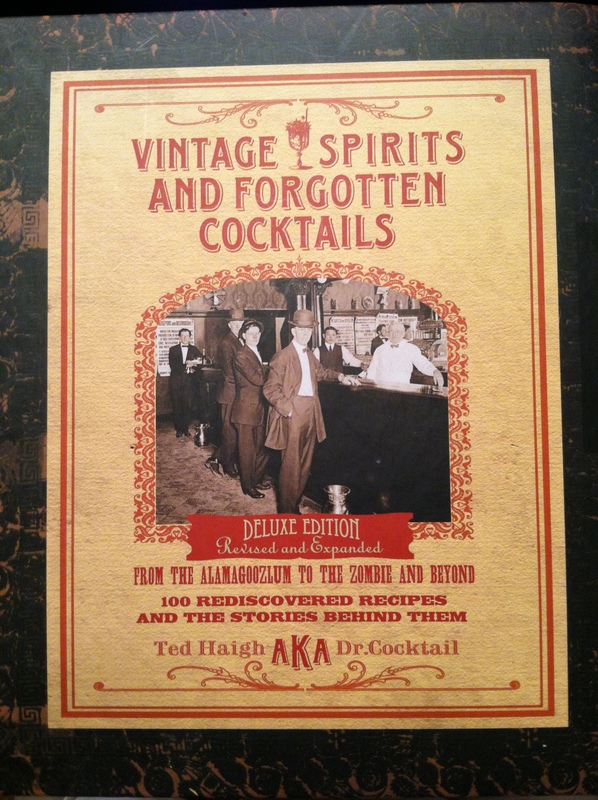 I’ve also invested my time and attention in to Ted Haigh’s “Vintage Spirits and Forgotten Cocktails” (http://www.amazon.com/Vintage-Spirits-Forgotten-Cocktails-Alamagoozlum/dp/1592535615). This is an awesome book, and apparently, one of the pioneering books of the current cocktail renaissance (originally published in 2004, “unearthing” these “obscure” drinks at the time, that are very well known today, just 8 years later). Even though, 8 years has dated this book, it’s still an awesome book worth buying for the way it’s laid out and the entertaining writing of Ted Haigh, aka “Dr. Cocktail”. 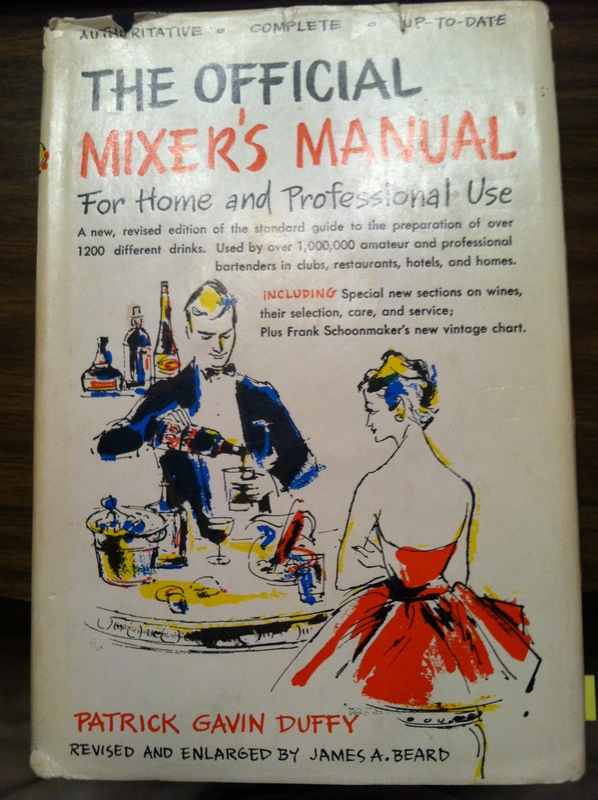 Another book I’ve really enjoyed reading is the 1956 edition of Patrick Gavin Duffy’s (not to be confused with the curly-haired dad from the sitcom “Step by Step”) “The Official Mixer’s Manual” (http://www.amazon.com/Official-Mixers-Manual-Home- Professional/dp/B002CNKC7Y/ref=sr_1_7?s=books&ie=UTF8&qid=1343534430&sr=1-7&keywords=official+mixer%27s+manual). I actually received this book as a surprise gift in the mail from my good friends in Lincoln, NE. (I love any kind of fun mail, but receiving a cocktail book in the mail as a surprise? It doesn’t get much better than that!) Actually, I had picked up a copy of this book at a book fair back in April, but it was an edition from the late ’60’s or ’70’s (I can’t remember exactly) and I hadn’t really gotten in to it yet. However, this earlier edition from the ’50’s is way more old school in its approach and references, and makes for a much more captivating read. I’ve really enjoyed flipping through this book, which organizes its drinks by base liquor and liqueur. 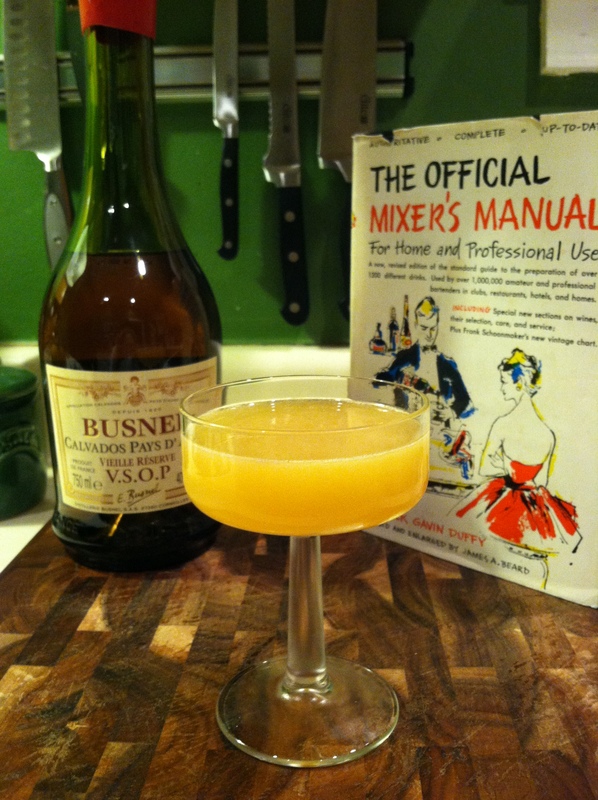 Originally published in 1934, it’s definitely a great, classic cocktail book and really a “who’s who” of cocktails. It features a huge amount of drinks that are very popular today. It’s a very dependable, quality cocktail guide. Anyways, I’ve gotten a bit off track. Back to what I was saying… Yes, I’ve been a bit absent as I’ve been drinking the “lazy man’s drink”, but as I’ve been drinking my wine, I’ve been enjoying reading up and jotting down some new cocktails to try (at least for a few minutes before I’d fall asleep). 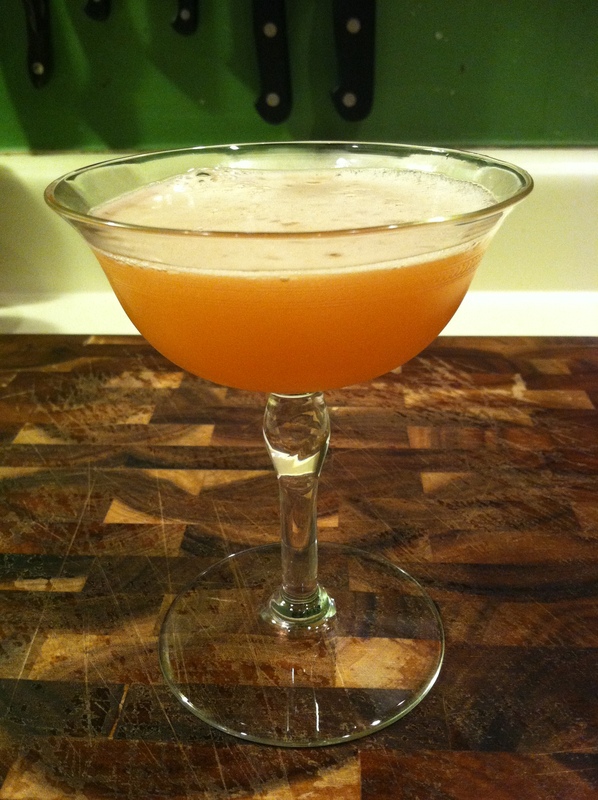 Here in this new post, I share with you the “East India Cocktail”, the “Calvados Cocktail”, the “Pegu Club Cocktail”, the “S.G. Cocktail” and the “Brooklyn”. Enjoy! The Brooklyn cocktail is a cocktail I’ve been wanting to try ever since I got in to making cocktails. For whatever reason, it caught my eye the moment I saw it online or in some book I was flipping through. 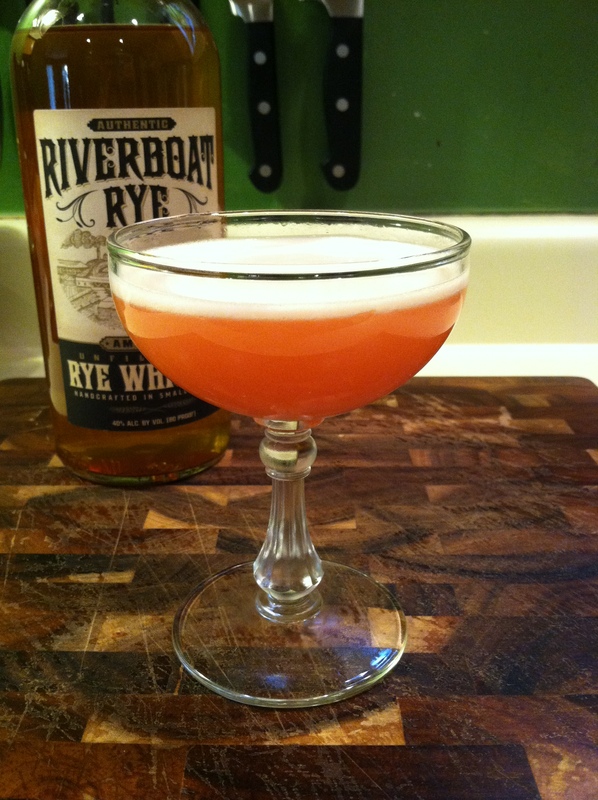 I think it caught my eye because it’s got a couple of my favorite ingredients – rye and maraschino. It also caught my eye because of 2 other characteristics – I loved the name and also, my interest was piqued by an ingredient I’d never heard of… Amer Picon. I’d never heard of Amer Picon and then as I started asking for it in stores around town, no one ever had it. (?) Come to later find out it’s because it’s a French liqueur that for some reason isn’t available in the U.S. Well, I gave up on that idea, figuring I’d never get to try a Brooklyn cocktail, but at the same time, never really forgetting about the drink. It was always in the back of my mind as a drink I’d love to try, and thought about from time to time. 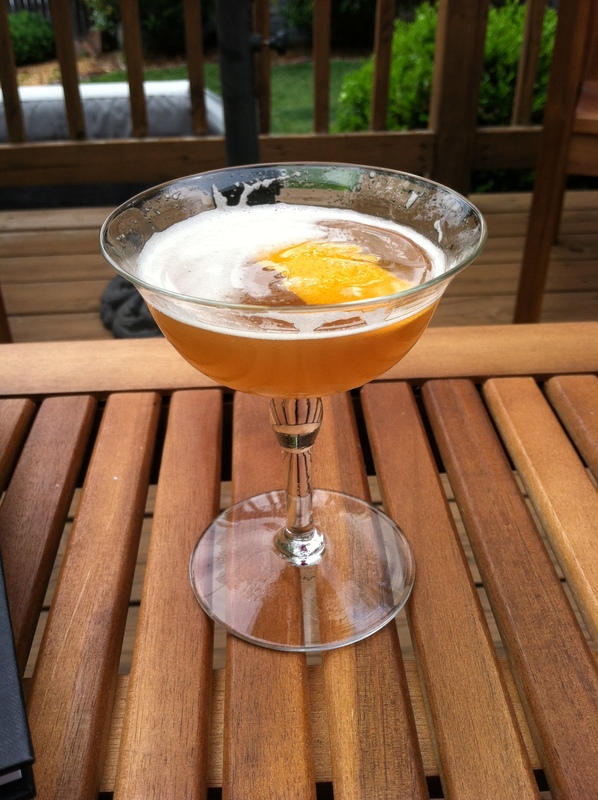 Well, thanks to “Vintage Spirits and Forgotten Cocktails”, I learned today that there are in fact substitute ingredients that come close to matching Amer Picon that I could get my hands on. He encourages the use of Torani Amer as a close substitute, but I can’t get my hands on that in St. Louis. So the closest I could do was get a bottle of Ramazzotti. Amer Picon, Torani Amer and Ramazzotti are all amaro liqueurs. “Amaro” is Italian for bitter, and these are bitter aperitifs, made of a mixture of herbs, spices, roots, citrus peels, etc. According to descriptions of Ramazzotti Amaro online, it’s a 200 year old recipe of 33 herbs and spices, with “notes of orange peel, cardamom, myrrh, galangal and cinnamon”. Most of the amaros on the market are made in Italy, but Amer Picon is one of the few (if not the only one) made in France. But alas, it’s not available here in the states, even though you’ll see it in many old recipes. So, I’m not exactly sure how close Ramazzotti comes to Amer Picon, but from what I can gather from info online, it comes close enough. I think it’s pretty damn interesting tasting, and this drink is pretty damn tasty! 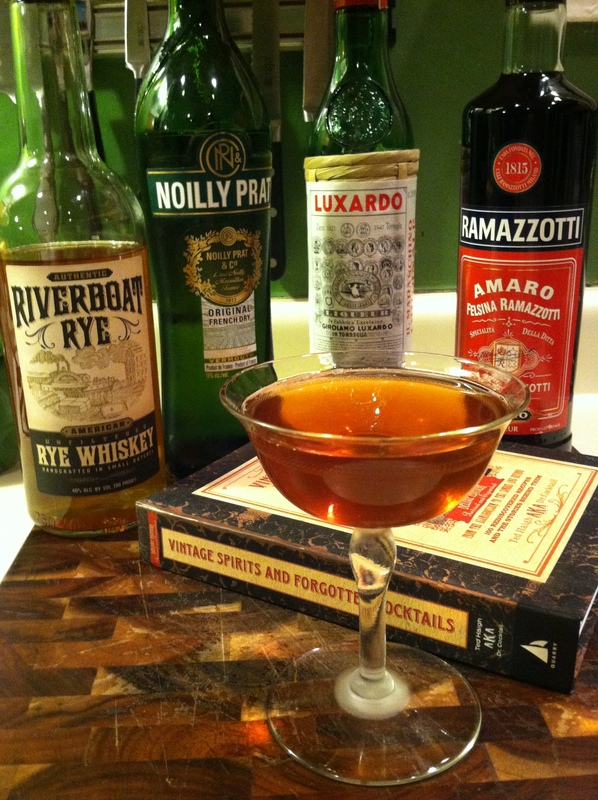 The Brooklyn is similar to a Manhattan, but with a nice, heavy layer of the amaro adding some complexity and depth. I love the healthy dose of maraschino. 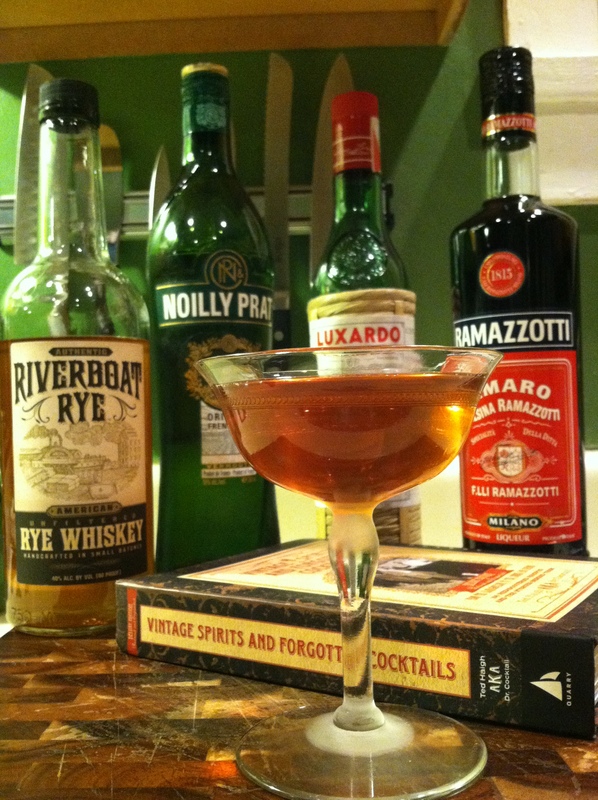 Mmmm… it’s a very good drink – sort of a deeper, more herbal Manhattan. Very good! This is a pretty good drink I found in the PDT Cocktail Book. It’s a pretty mellow drink (albeit, pretty heavy on the “orangeyness”), and a nice cross between a “tropical drink” and a “real cocktail” (no offense, anyone… Some of my favorite drinks are tropical drinks). The orange curacao/pineapple combo really lightens the drink up, while the dark rum and bitters brings it back down to earth. Pretty good. This drink was decent. At first, the drink tasted a little “medicinal”, but after a while, it grew on me and into a somewhat complex taste with its healthy dose of bitters. I’ve never been a big fan of cocktails with OJ, but this one’s OK. I’m not convinced however, whether I really like apple brandy or not. I feel like I could like apple brandy, but I don’t know… Maybe it’s just that there aren’t many good apple brandy cocktails out there? I don’t know… there’s not a ton of recipes calling for apple brandy or Calvados, but the ones I’ve tried, I’m not crazy for. Hmmm… only time will tell, I guess. I’m not ready to give up on it. This is a very good cocktail! As I’ve said a hundred times before, I’m not normally a fan of gin and orange juice, but I have to say… gin and triple sec and lime juice is great! This drink is more of a daiquiri than anything else, and it’s a solidly well put-together summer drink! I like how it’s a really refreshing summer drink, but the bitters tone it down a bit and make it more of a complex drink. Recommended for sure! This is a pretty good drink. It’s nothing super special really, but just a nice drink for a sit on the porch after a hard day’s work in the summertime. 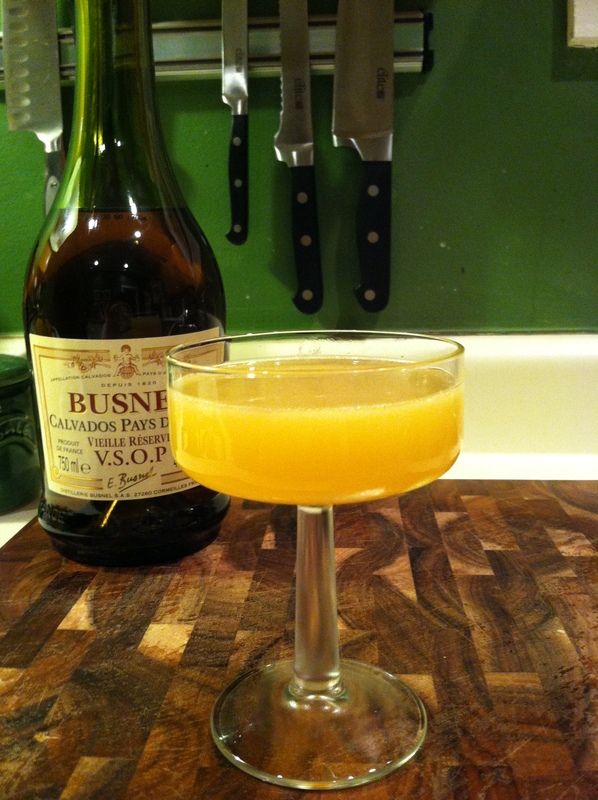 It’s just a nice and simple sour rye and juice drink. The lemon actually packs quite a punch, if not a bit too much of a punch. That being said, I was happy to find, just a few pages earlier in Duffy’s book, a drink called “Ink Street”. 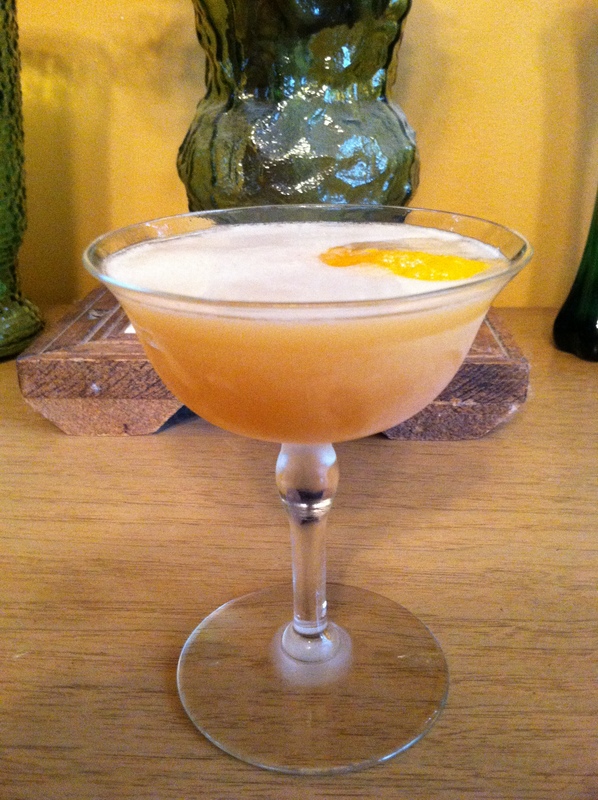 The “Ink Street” is almost the same ingredients, but instead of an equal parts mix, it calls for 2 parts rye, and only 1 part orange and 1 part lemon (no grenadine either). I think this proportion might suit my taste a little better.